Dill weed is a unique perennial herb with pleasant anise-like flavor. 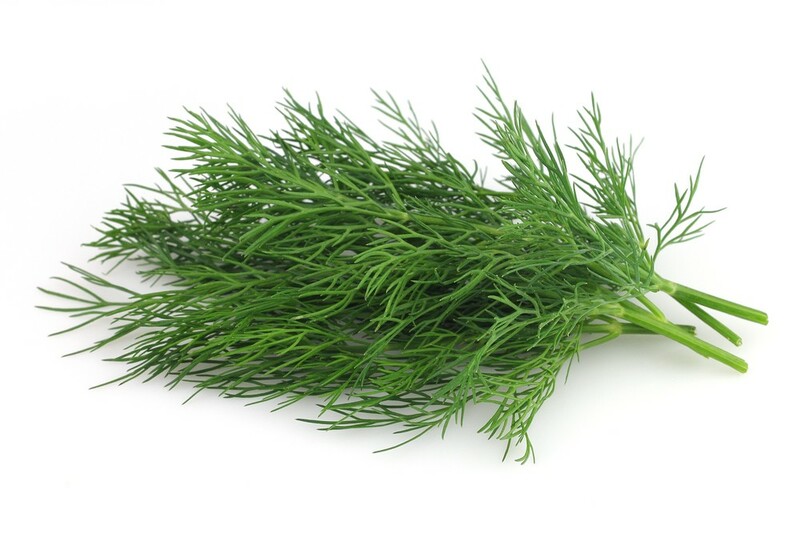 Dill is the member in the Umbelliferae family, a large group of flowering herbs and spices that also includes caraway, parsley, cumin, fennel. It grows 1 to 2 feet in height and features dark-green leaves that are wispy and fern-like, have a soft texture with rich pleasant anise aroma and sweet taste. Dill seeds, used as condiment spice, are similar in taste and appearance to “caraway seeds.” They are light brown in color, oval shape with vertical ridges and flavor that is aromatic, sweet, and citrus, but also slight bitterly. Its leaves as well as seeds are employed as seasoning in various cuisines worldwide. Uses for dill include treatment of fever and colds, cough, bronchitis, hemorrhoids, infections, spasms, nerve pain, genital ulcers, menstrual cramps, and sleep disorders.